Oh boy! It’s just an ordinary Wednesday night in late August. I am cooking dinner and thinking about homework we will be doing together soon after. My mind is on mashed potato and school uniform for tomorrow and now I need to urgently think how to respond to a statement I have been waiting for for a while now. 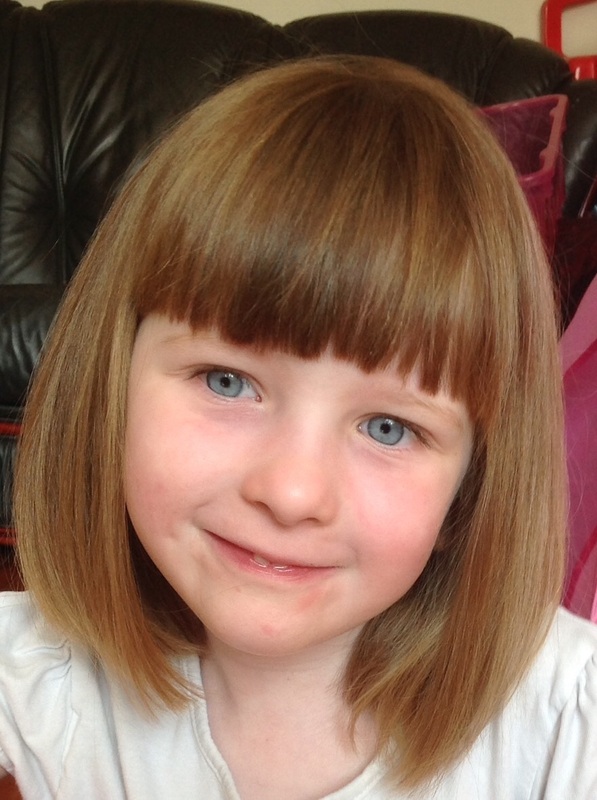 My daughter has autism and she attends a mainstream school. Her best friend is on the cusp of being diagnosed too though they are both very different. How to I approach this? I want her to know she is unique and wonderful, but also recognise that she finds some things more of a challenge. I need to keep it at a level a six year old can understand without babying her or over simplifying a very complex neurological condition. Oh, maybe I should text her friends mum and warn her or even chat to her about how we approach this. The girls are bound to talk tomorrow and I owe it to my friend to prepare her for what her daughter may discuss. Maybe I should delay ‘the talk’ until the girls are together? Yes, maybe we should be doing this together so they both understand and hear the same thing? Actually, maybe I should wait until my son is not distracting my attention too. He has classic autism so I must remember to talk about that side too. But that might confuse her? She only commented that her and her friend were ‘different’ so maybe she hasn’t realised how different her twin brother is yet.. I finish dishing up dinner to find her right behind me sitting at the table watching and waiting. I go get her brother and give them their dinner and decide ‘the talk’ can wait another moment while I switch the kettle on. I have a feeling I could do with some caffeine to help me. She hasn’t said anything else since that statement. My drink is now ready and with my mind still whizzing and my heart beating fast I decide I can not delay this any longer. And with that simple fact ‘the talk’ once again got put to the side for another day. As I sat on the bench in a public park the tears came easily. Watching little toddlers peddling trikes and mothers chatting to babies. Seeing pre-school children laughing and chatting as they wheeled around the water on their brightly coloured scooters. It has been building for a while. The night before last it was anger and hurt as a friend shared how her 14 month old was defiantly talking back when they were trying to get her to bed. I wanted to scream and say ‘but she understands! But she talks!’ Instead I mourned silently. The world goes on while I grieve for a child I haven’t lost. It is a very different pain to others. I know the pain of not having children. I know the pain of losing a yet-to-be-born baby. I know the pain of losing someone very close. I know that feeling of despair and anger and hopelessness. People understand when they know you have loved and lost. But how do you explain you are grieving a child you have not lost? I get to read to my son. I get to bathe him and dress him and kiss him. I hear him laugh when I tickle him and get to push him on the swings at the park. He goes to school. He will watch a video sometimes. And yet he is lost. I have yet to hear his voice. I grieve for the conversations we will never have. I grieve the fact I will never hear him sing or shout or chat with friends like those little ones in the park. I grieve for the fact I will never hear him tell me a joke or talk to me about his day at school. I grieve for the loss of never hearing him whisper ‘I love you’. I can only dream about what his little voice may sound like, how it might have grown in depth and tone as he aged, what sort of accent he may have had or how he would pronounce names of people he knew. A part of him will never be. And I feel the loss and pain of that. I grieve for all the milestones I have missed and may never have with him. As I watched a mum bend down to hold her son’s hand today to help him walk I thought about how much she takes for granted. Her little one was not much over a year old and yet he confidently held her hand to take some steps. By the time my child did anything like this he was tall enough that I had no need to bend and his hands were nothing like as tiny as her son’s. I have skipped the toilet training, the bike riding, the learning to read and write, the school plays, the attending clubs and the having friends. I have been robbed of things others take for granted and that should be part of normal childhood. There is a loss and a sadness for times that might have been but will never be. There is sadness that I can not walk him to school or that he can not go to school with his twin sister. There is pain relying on others to tell me about his day when I should hear it from him. There is heartbreak watching the neighbours child of the same age jump on a trampoline and my son can not balance on one leg let alone jump. There is a lump in my throat when people ask what my child wants for Christmas and he still plays with baby toys at almost seven. We have never experienced the tooth fairy with him, he has no concept of Santa Claws and neither chooses his own clothes nor has the ability to dress himself. He has never said ‘mummy can I have’ or gone in a strop because he can not go out to play. He has no friends his own age and doesn’t get invited to parties. He is here but to many he isn’t. I have a son. He is my pride and joy. I am so proud of everything he does. But I still grieve for him, for the things he will never achieve and the experiences he will never have. And I grieve for myself as a parent when I see a world of parenting I can only ever dream about. As I sat on a bench in a public park the tears came easily; tears of heartache and anger, tears of frustration and pain. It is all part of the journey. Before I can move on I need to grieve for the loss. And grieving takes time. So please forgive me and support me. Life goes on and I understand that. I have no bitterness at that. But sometimes those tears are needed. Bear with me as I grieve for a child I haven’t lost. The uniforms are bought, the bags packed, and the children prepared to once again start a new term at school. It is with great anxiety and fear that once again I release my children into the hands of others to be looked after and educated for six hours a day, five days a week. For the last seven and a half weeks I have pretty much been with them both 24/7 and even though that has brought pressure and stress at times, it has also been a relief to not have to deal with other people and schools for a while. Now that is all about to end. Once again other people are about to get involved in my life. 1. It is easy to feel like a failure. While I know my children have thrived this summer under my care there will be teachers and therapists within my children’s schools who will only see the fact that their development has not been stretched perhaps as much as the would have liked, or they have not been challenged educationally or encouraged to socialise with others their own age enough. Then there is the fact other families will stand in the school playground boasting of holidays abroad, play dates with friends and new skills their children mastered over the summer which my children may never achieve. Being around other children the same age as mine and seeing what they can do and say has a way of making me feel like an utter failure within minutes, even if unintended. 2. Everything suddenly becomes a big stress. In summer we ate when we were hungry, if we wanted to have pizza for lunch instead of dinner we did. We ate out now and again, we took packed lunches and went out for day trips and we had fish and chips at the end of a busy day. But now my children are returning to school where one barely eats and drinks and now food will become a huge stress again. Now the professionals are back involved there is also an expectation to ‘move the children on’ in areas they have become stuck at and we are expected to follow “proven” methods or be criticised even when these may not be right for our child. Stress! 3. The pressure to perform becomes huge. Did anyone care if my son wore an un-ironed t-shirt last week? Returning to school brings with it a pressure to have children dressed smartly, in uniform, and arriving on time, having eaten healthily and slept well. All of those things are major challenges for my children with sleep difficulties, sensory issues, limited diets and no understanding of time. Forgetting homework, leaving the packed lunch at home or not remembering PE kit has you instantly marked down as a terrible mother and raises my daughters anxiety to a level that makes her ill. There is pressure to keep up with the other children in the class and do weekly activities too. Having other people involved in caring for your children puts so much pressure on us all. 4. I lose knowledge that is vital to communicate with my children. 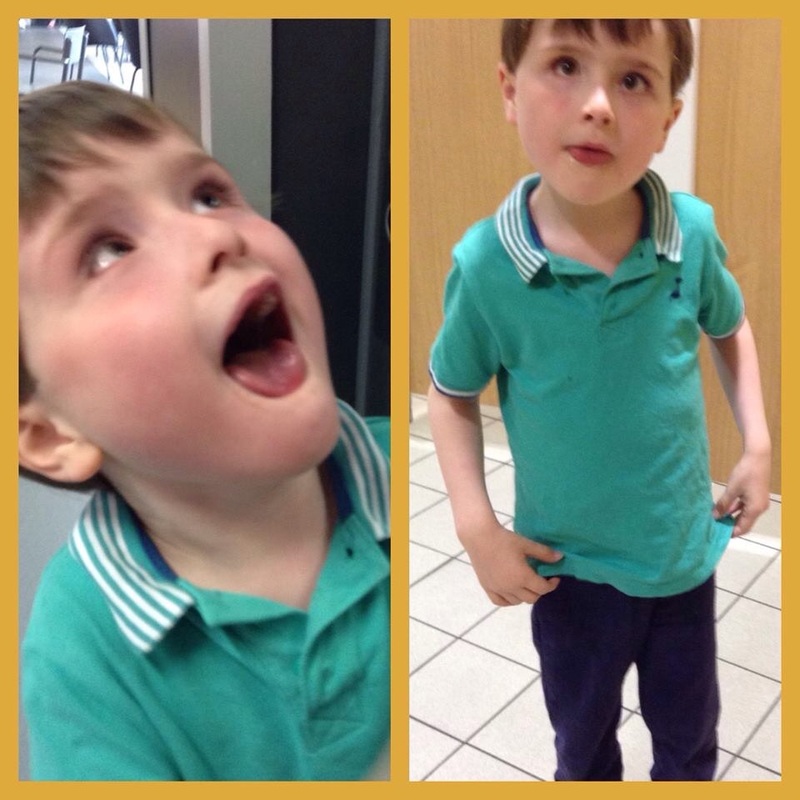 My son is non verbal and both my children have social and communication difficulties (autism). Being with them all summer has meant we have learnt to understand each other. My son would only need to find a photograph to show me and I would immediately know what he was trying to communicate because I was there with him and I know what he enjoyed. 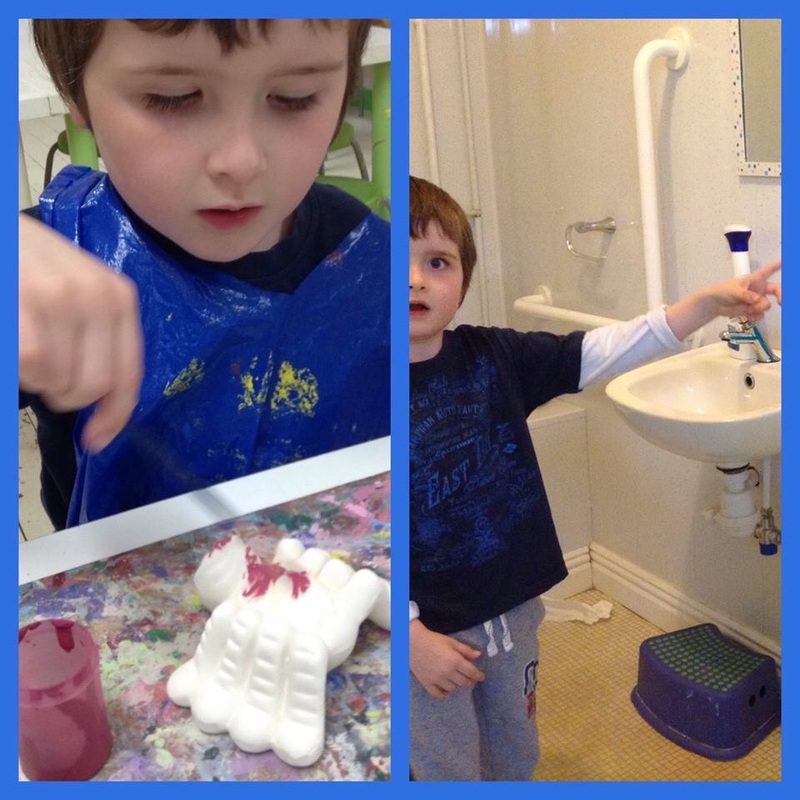 When other people get involved I lose that vital connection and no school diary or ten second talker can make up for the fact I am not with my child and therefore I have no knowledge of what he is trying to communicate. He may have heard a song at school he wants to hear again and I am expected to just ‘know’ and because I don’t we have hours of self harming, frustration and upset all round. Neither of my children can properly communicate to others when they are hurt or where. Neither will adequately communicate when personal needs require to be met or that a food may make them feel sick. This is the bit I hate: that not knowing and having missing pieces that they can not explain to me and I have no means of working out. I know there are some advantages of having other people involved though. It is important my children become more flexible and less rigid in insisting only I can meet their needs. They also do need to learn independence even if they will require support throughout their life. There is also the fact that having some professional involvement can actually help by bringing new ideas, support me and help access resources that can make a difference. We just need to learn to communicate, trust and work together. To let other people get involved. I had plans for this summer. My son also had plans. The difficulty was our plans were very different. Isaac is six. He has autism and global delay. He has neurofibromatosis. 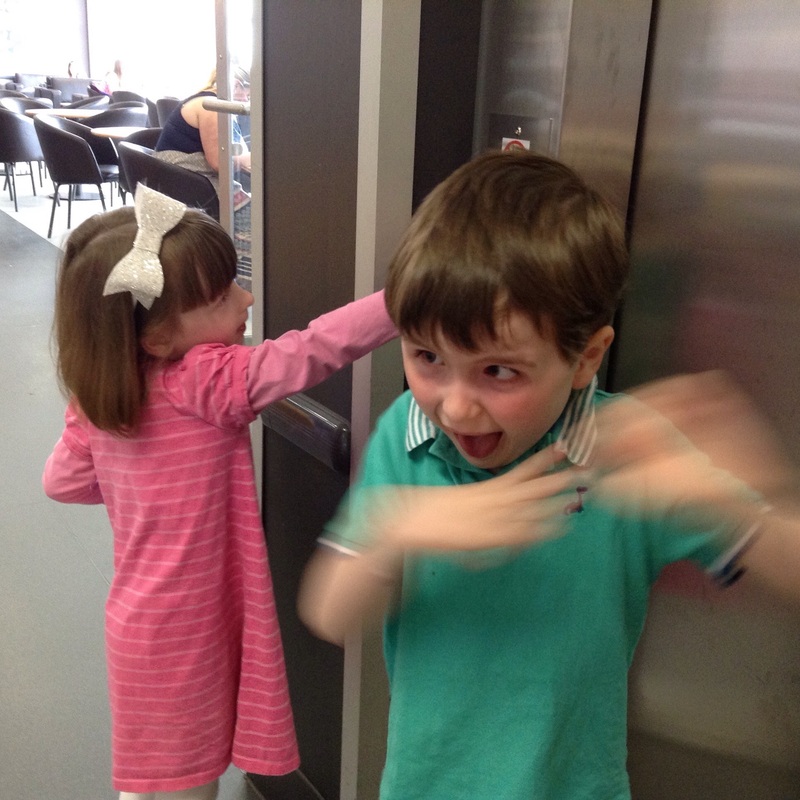 He also has huge sensory issues, rigid thinking and a massive love of lifts and hand dryers. He has no spoken language. 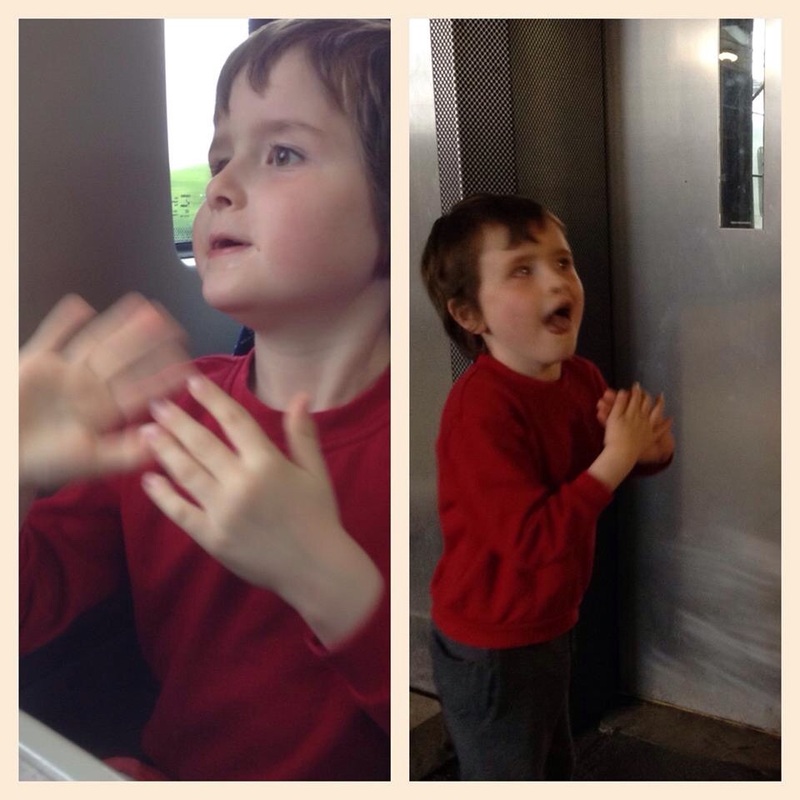 So when school finished for seven and a half weeks his plans involved food (mostly mashed potato and gravy), lifts, hand dryers, food, hand dryers and more lifts…and maybe the occasional ride on a train. I, on the other hand, wanted day trips, parks, picnics, garden play, road trips, time seeing family and shared adventures with him and his twin sister. 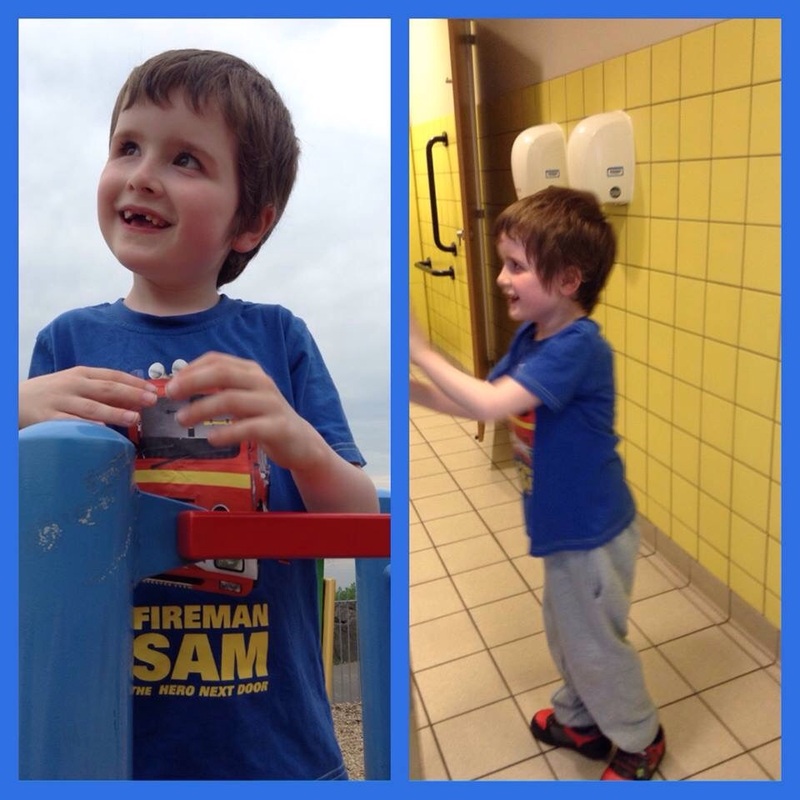 I took him to a park…and then we went to a local supermarket where he could see the hand dryers. I got what I wanted. He got what he wanted. He would play for a bit and then watch those dryers a bit more. I took him to pottery painting. 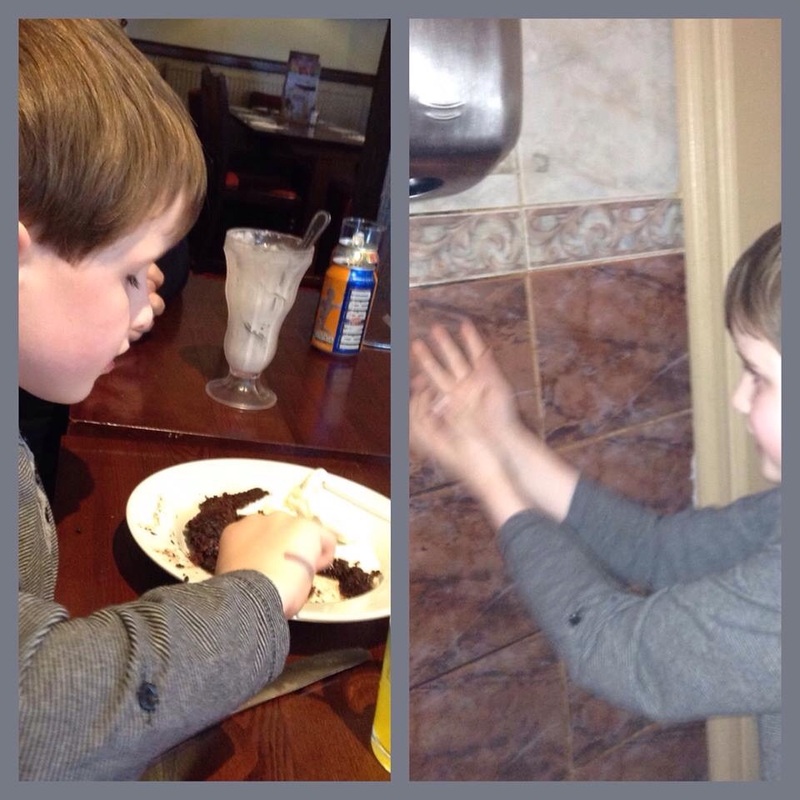 He humoured me by putting on the apron (with support) and putting a tiny amount of paint on his model…and then he tore that apron right off and found the toilets to look for a hand dryer! I took him took him on a train ride to a big city. His favourite place there was the lift at the train station! Nothing else mattered. We traveled for an hour by train just to see a lift! 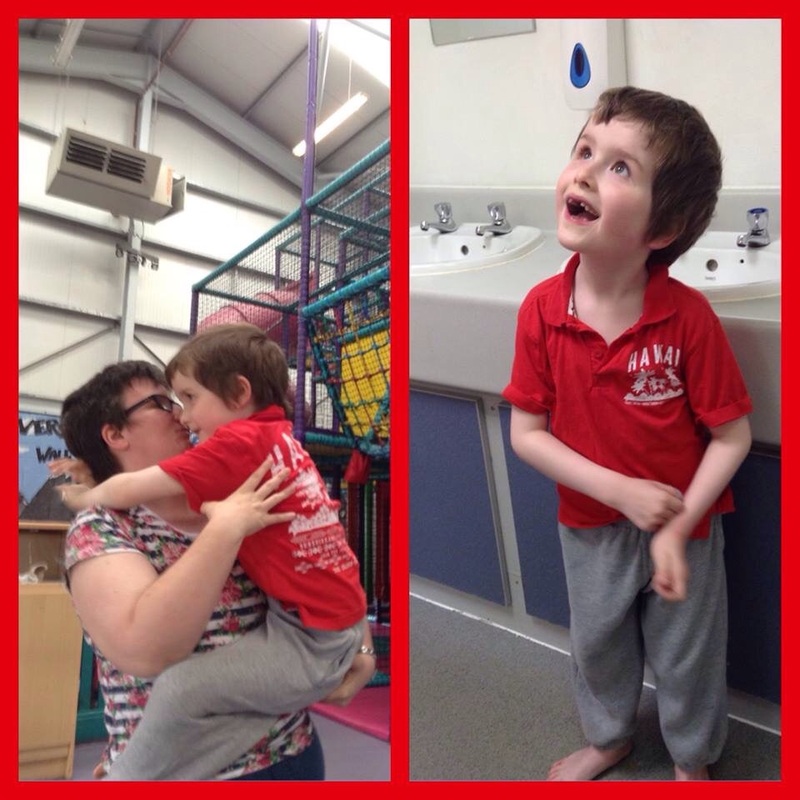 But you have never seen a happier boy than Isaac was at that lift! By now we were coming to an understanding. I took him to the park again. This time all he wanted was the bushes at the side of the path! He felt them, watched them, heard them and even licked them. 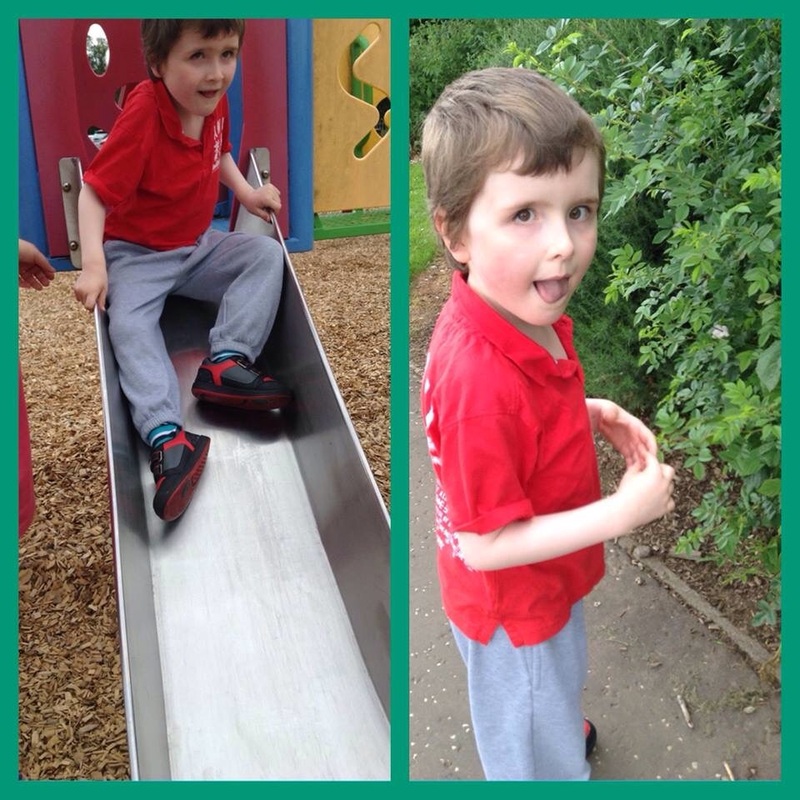 Well, what else did I think he would do at the play park? This is life with Isaac. He had no idea others were staring at him. We had an invite to a family event at a local restaurant. Isaac made me so proud sitting at a large table and eating his meal (mostly using cutlery) and even having some pudding. But that was followed by an full 20 minutes in the toilets at the…well I think you probably know by now where he wanted to go to. 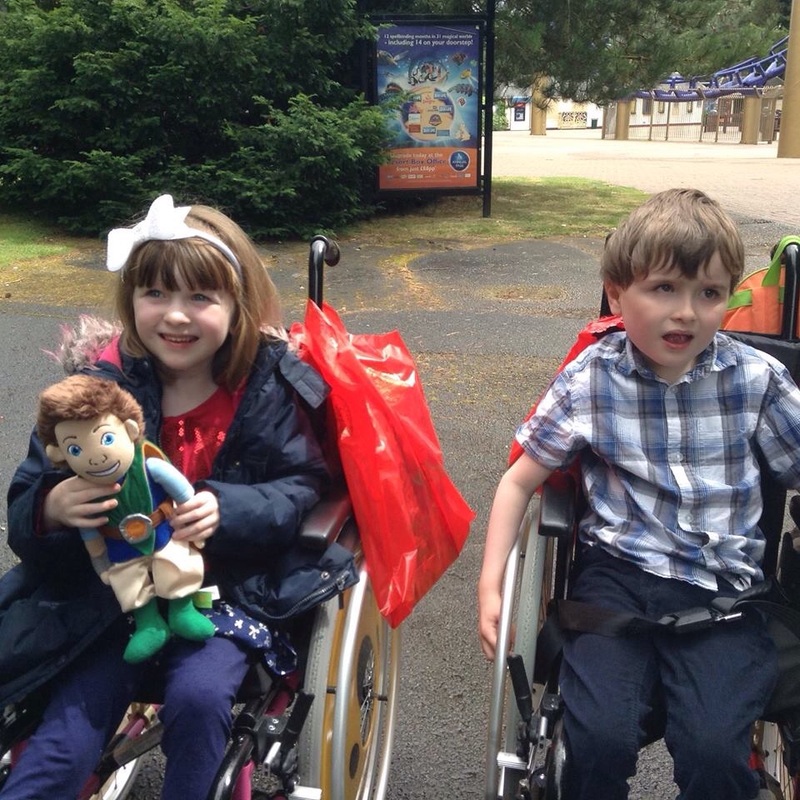 A charity invited us for a day trip to the safari park. Isaac showed not one second of interest in any animal. In fact he never even glanced at them. But when he saw a sign for toilets he smiled, ran, and flapped with excitement. 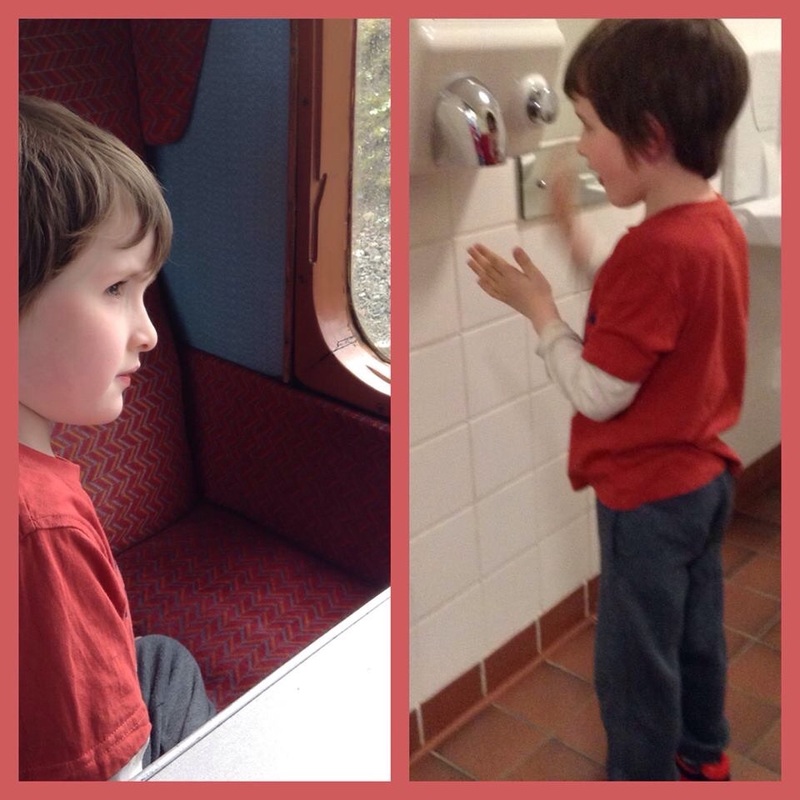 I took him and his sister on a steam train ride. He did enjoy looking out the window at the passing scenery and he did enjoy eating in the cafe. 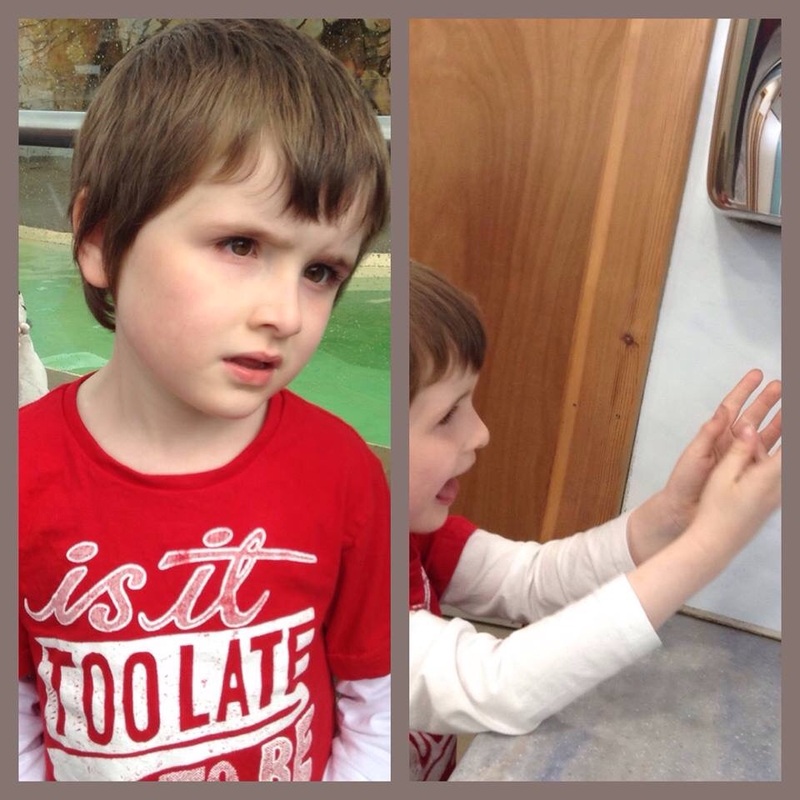 But if he could talk I am pretty sure his highlight would have been that the toilets had his favourite hand dryers in…the ones with buttons to press. It is what it is. He sees the world in a very different way. And sometimes just having him with me is a bonus. By the end I just decided to run with it. I only had to look at the excitement in his eyes and the happiness on his face to know that lifts and hand dryers are the most important things in his life. And if I want to get anything achieved these are the motivating factors to use. I still would have preferred to have spent summer building sand castles, eating ice-cream, visiting castles and museums and time together as a family building memories. Hand dryers are loud, functional things that I would use only to…well dry my hands really! Lifts are convenient and quick ways to change levels…and that is when my interest ends. But love takes you to places and has you do things in life you don’t expect. And so I have spent an insubordinate amount of time this summer listening to hand dryers and watching lifts. And in his own way we have had fun. I had my day trips, parks, picnics and quality time with my son. And he had his fixations. Life is about compromise. Love is amount accepting someone,however different to you they are, and not always wanting to change them. Making things work is about coming to an understanding. I have had a lovely summer. Isaac has had a magical time. We just spent our quality time in places I never really imagined.